First of all, Brittanie is an incredibly skilled actress. She embodies each of her characters fully, drawing the viewer in with her emotion and clarity. 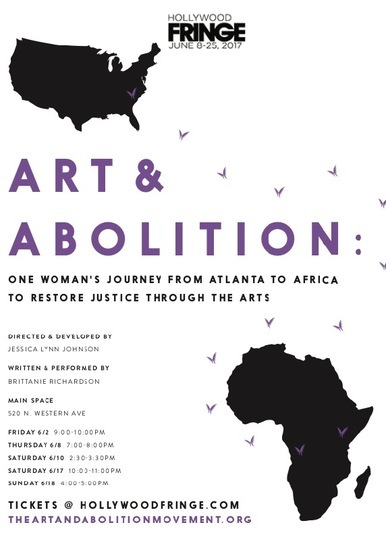 The show itself was powerful and moving, striking a balance between insight into Brittanie’s personal story that led her to her present work, and the horrifying realities facing the girls her organization serves. I left feeling deeply grieved but also inspired to know that each of us have a role to play in making this world more just. As a person of faith, I left feeling even more deeply committed to my faith, and using it as a vehicle for social justice as Brittanie does. Honestly, I don’t have a single criticism. Brittanie uses her obvious theatrical talent to deliver a story that is heartbreaking to its core, but also filled with light and hope. This show is a reminder that light always floods out darkness, and that each of us has a role to play. Your eyes will be opened to deep tragedy, but your heart will be uplifted by the work Brittanie does. This is a must-see show.